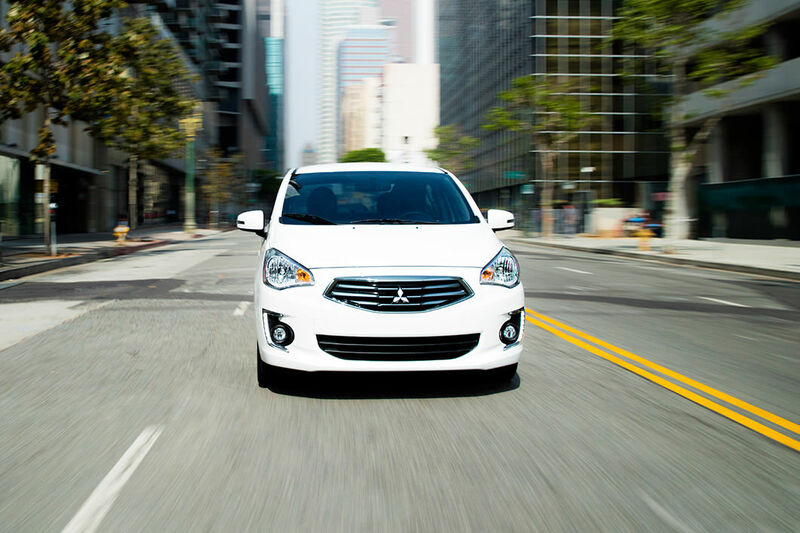 The 2018 Mitsubishi Mirage G4 is a subcompact sedan which features two trim levels, and a 1.2-liter three-cylinder engine. New to 2018 is a 7-inch touchscreen, rearview camera, and Bluetooth that come standard on the base ES model. Other updates for this model year include a relocation of a USB port on the center console, steering wheel audio and auto Bluetooth switches which are available on both trims, trunk pass through, driver's seat armrest, new accessory appearance package, and 15" alloy wheels with the ES Smartphone package. What are the trim options with the Mirage G4? There are two Mirage G4 trim models, the ES and the SE. The ES is the base trim, offering a USB port, a CD player, a four-speaker sound system, Bluetooth connectivity, a 7-inch touchscreen display, a rearview camera, a 60/40-split folding rear seats, a tilt-only steering wheel, full power accessories, air-conditioning, automatic headlights, a rear spoiler, and 14-inch steel wheels. There is a Smartphone Display package option available with the ES that includes Apple CarPlay and Android Auto smartphone integration, a 6.5-inch touchscreen, a leather-wrapped steering wheel, cruise control, and 15-inch alloy wheels. The second trim option is the SE, which includes all of the previously mentioned features and adds a height-adjustable driver seat, heated front seats, an auto-dimming rearview mirror, automatic climate control, fog lights, and keyless ignition and entry. Other additional options, that are stand-alones, are cargo nets, mud flaps, rear parking sensors, interior lighting, and aerodynamic flourishes. There are seven different exterior color options for the Mirage G4. Those colors are Infrared, Mercury Gray, Mystic Black, Pearl White, Sapphire Blue, Starlight Silver, and Wine Red. 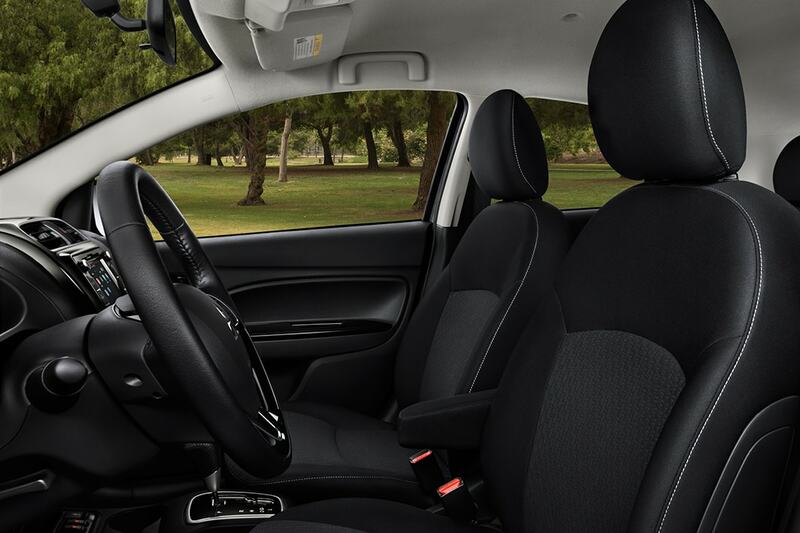 What safety features are available with the 2018 Mitsubishi Mirage G4? The 2018 Mirage G4 comes with many different safety features, and make sure that every model comes standard with a rearview camera. Other safety features include stability control, a driver's side knee airbag, seven standard airbags, and hill-start assist. What engine is in the 2018 Mirage G4? 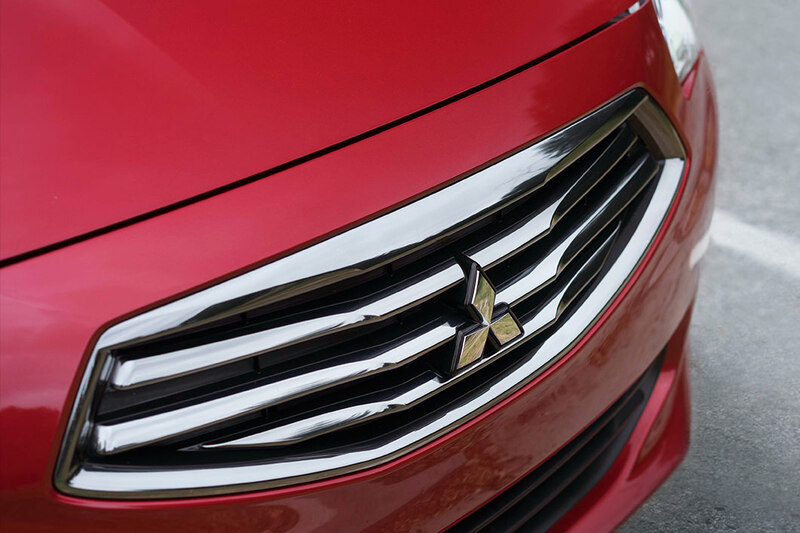 The engine that powers the 2018 Mitsubishi Mirage G4 is the 1.2-liter 3-cylinder engine, featuring 78 hp and 74 lb-ft of torque. 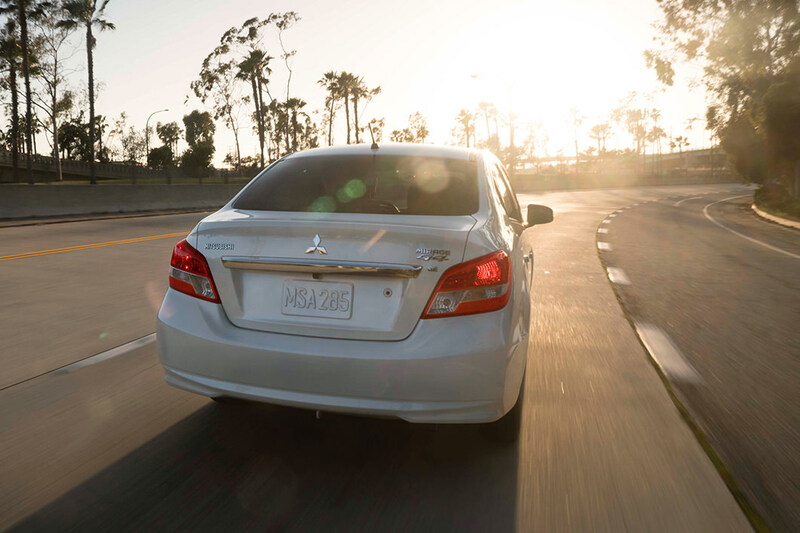 In the manual sedan, you will be getting 33 mpg city and 40 mpg highway for fuel efficiency. 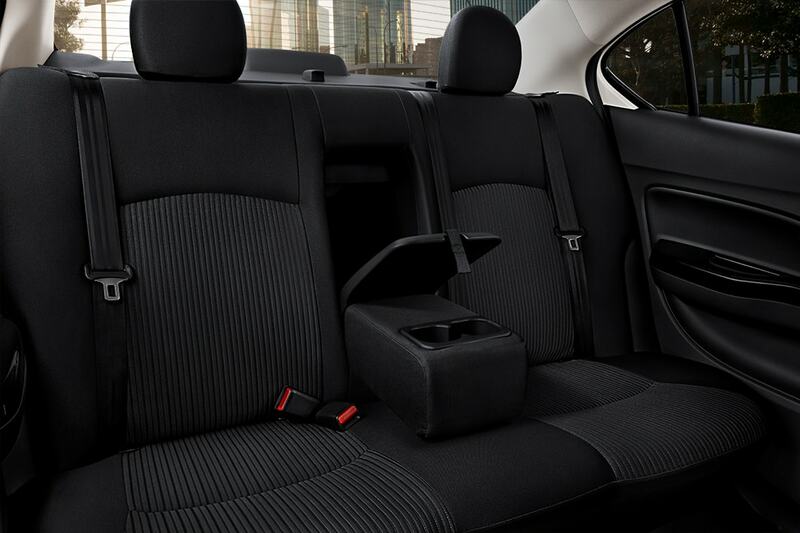 With the manual hatchback, you will receive 33 mpg city and 41 mpg highway. 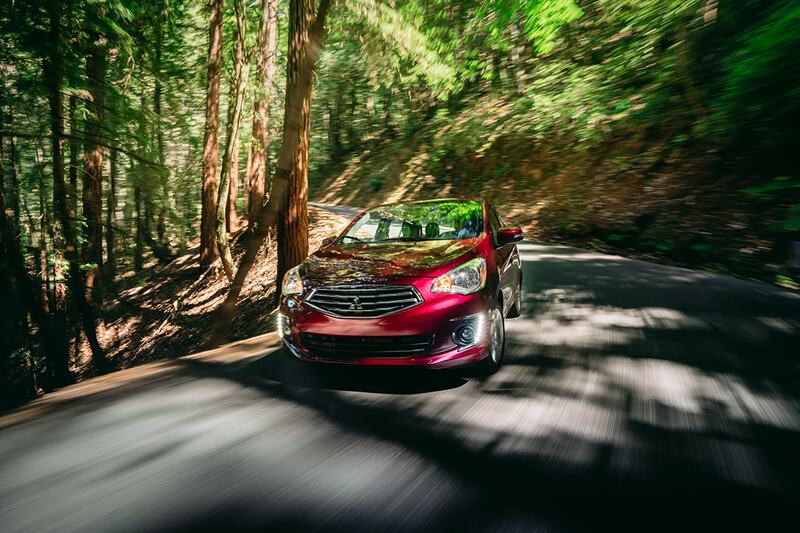 The automatic sedan features 35 mpg city and 42 mpg highway. 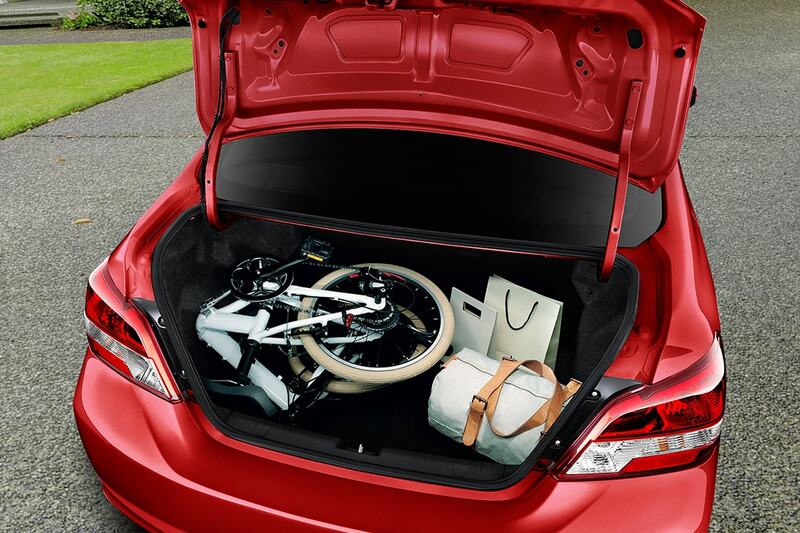 The automatic hatchback, the last option, features 37 mpg city and 43 mpg highway. 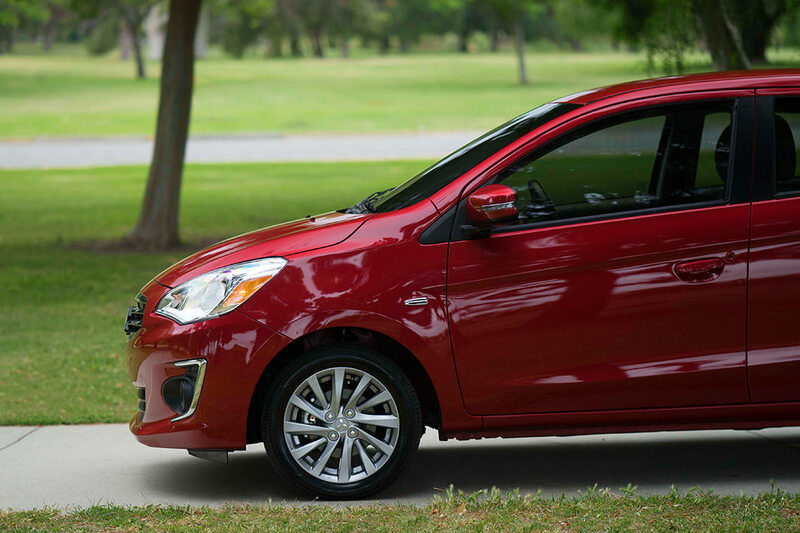 The Mitsubishi Mirage G4 is the perfect subcompact sedan, featuring multiple exterior color options, two trim levels, and a 1.2-liter three-cylinder engine that is sure to impress. 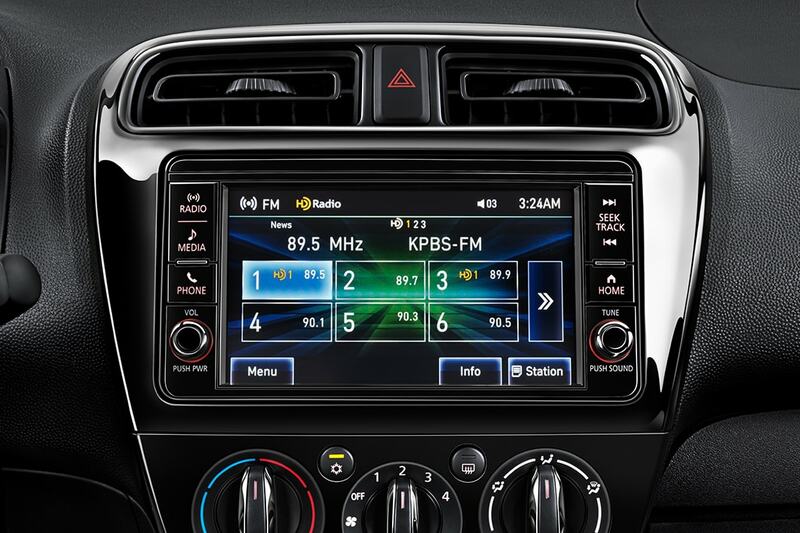 This subcompact car also makes sure that you are properly entertained for those long car rides, with Apple CarPlay and Android Auto integration in the Smartphone Display package, along with the standard Bluetooth and 7-inch touchscreen. Have more questions? Be sure to send them our way. Then, once you've received your answers, be sure to schedule a test drive with us today!